The southernmost section of America's farvorite motor road is like a grand finale - a long, high, remote, and spectacular drive that ends in the largest contiguous wilderness in the East - the Great Smoky Mountains National Park. Autumn sunset at the Woolyback overlook. 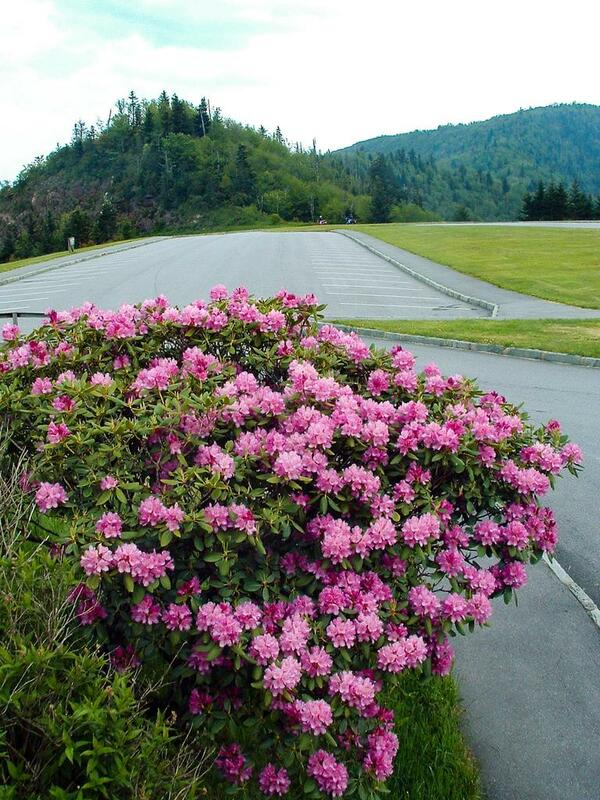 Blooming rhododendron at the Waterrock Knob overlook. You'll traverse the high ridges of the Pisgah Ridge around the Shining Rock and Middle Prong Wilderness Areas as you round the southernmost point on the parkway. Then you'll be passing over the highest point on the road's entire length - 6053' near Richland Balsam Mountain! 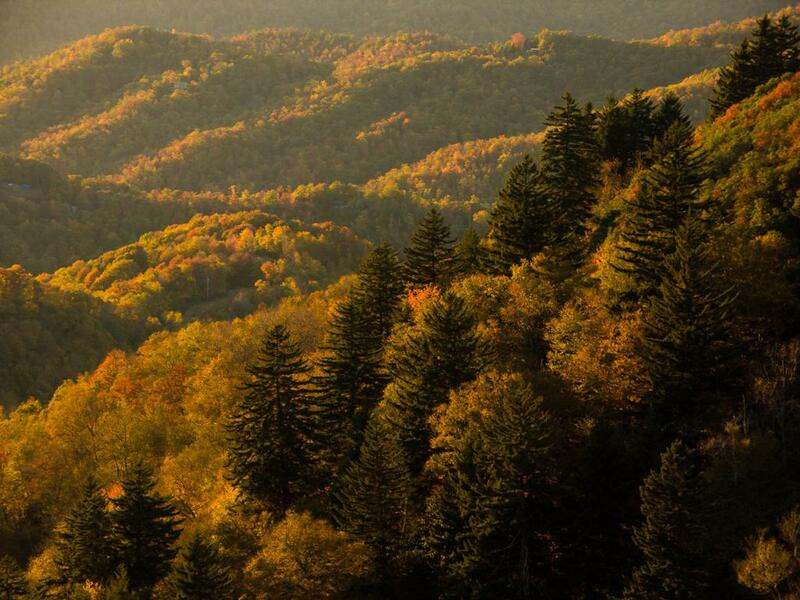 You'll dip and then rise over the short, high Plott Balsam range before moving into the Great Smoky Mountains themselves. And, on the section near Maggie Valley, North is South and South is North on the Parkway! Two main trails are available from this section of the Parkway: the trail to Waterrock Knob and a self-guiding nature loop at Richland Balsam. The Mountains to Sea Trail follows the Parkway here as well, but much of it is unfinished and so follows the roadway itself. However, work on this long-distance trail is ongoing so more sections of it will be opening soon.